There’s a fine line being walked nowadays with the proliferation of indie games modeled after the 8 or 16-bit releases of the good ol’ days. On one hand, it allows for retro games to rise above the limits of their time so that their full potential can be realized through weaving in modern game design where needed, such as in games like Shovel Knight or Axiom Verge. On the other hand, it creates the potential for developers to be lazy, cashing in on nostalgia and tired tropes while adding few notable new ideas to the formula. 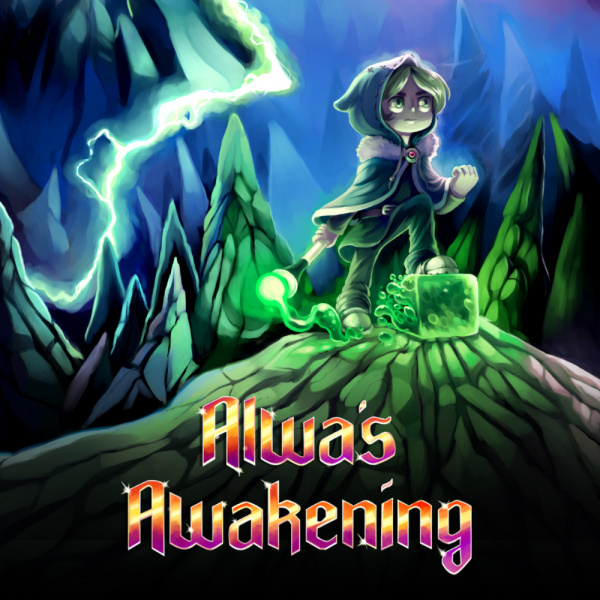 Alwa’s Awakening falls somewhere in between these two extremes; it offers up a quality Metroidvania experience that’s well worth your time, yet it also doesn’t have any major hook or feature to set it apart from the crowd. 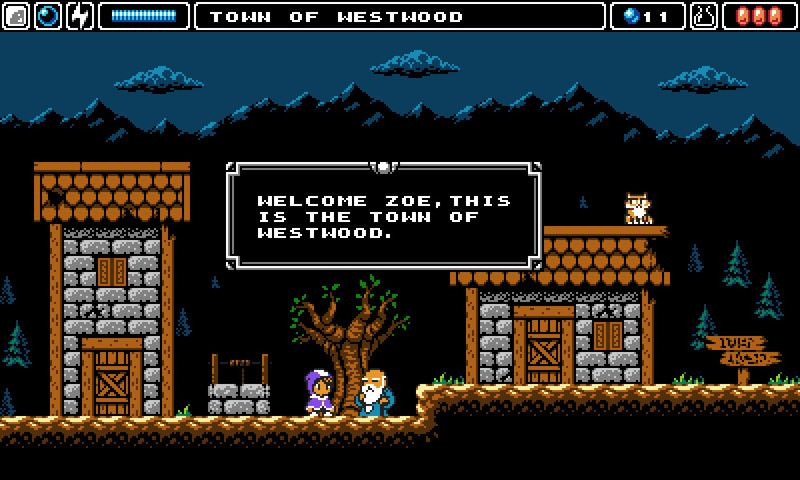 Alwa’s Awakening opens with a short cutscene describing the story, setting the stage with an extremely cliché fairytale narrative. The picturesque realm of Alwa is experiencing a golden age where the land is beautiful and everyone cares about each other, but the peace is quickly broken when a mysterious and evil being named Vicar arrives to enslave everyone, just… because. Vicar then enforces his rule by forming a group of four underlings called ‘Protectors’ to claim the ‘Ornaments’, which are McGuffins that grant their owner ‘immense power’. Just when all hope is lost, a silent heroine named Zoe arrives from another land to save the people from Vicar’s cruel reign, and this is where the game picks up. As you’ve probably gathered, the story does very little to get the player involved in the lore of Alwa, offering up a rudimentary context for the gameplay to follow. 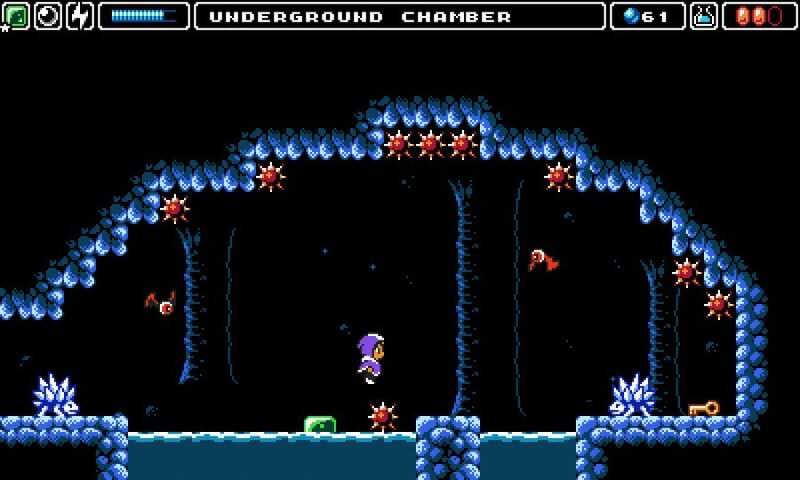 For the sort of game that Alwa’s Awakening sets out to be - an 8-bit Metroidvania with a deliberate focus on puzzle design and platforming - this decreased reliance on storytelling is certainly forgivable, and we’d argue that it doesn’t do much to impact one’s enjoyment of the game. It feels rather lazy in how the developers couldn’t develop a better scenario than “evil wizard enslaves peaceful land”, but you’ll hardly even remember that there is a story once you get past that opening cutscene. 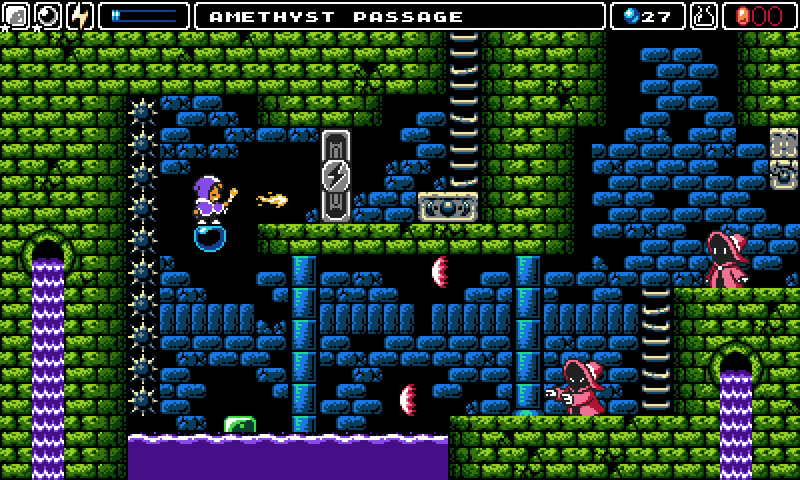 Gameplay takes the shape of a deliberately-paced 8-bit Metroidvania, though the focus is placed less on combat and more on solving environmental puzzles and clearing tricky platforming sections. A magical staff that Zoe obtains early on acts as the primary weapon and the source of your abilities, with there being plenty of locked doors and unreachable ledges to tease you into exploring further. As you move through the world, dungeons contain important boss fights and items necessary for further progression, while many of the in-between areas contain secrets and collectables in the form of blue orbs that raise Zoe’s level; each extra level reduces a boss’s total health by another node. Level design overall feels rather basic, but it’s often quite challenging in what it demands from the player, largely mitigating any boredom. In some respects, levels call to mind the stages of earlier Mega Man games, with lots of pits, death spikes, and tight jumps being the norm. This works largely in Alwa’s Awakening’s favour, as it makes that moment-to-moment gameplay feel much punchier and more engaging, and difficulty scales nicely as you unlock more abilities and become more comfortable with Zoe’s movement. One sticking point, however, is the occasionally unforgiving checkpoint system that creates tedious bottlenecks in the game’s flow. Interspersed throughout the game world are save rooms that often contain warps, and when you inevitably die, you respawn at the last place you saved. Though the game often places checkpoints before boss rooms and otherwise spaces them out evenly, there are still several segments where the distance between two of them is a bit too far, and failure at any point on that journey sees you sent back to square one. It can be frustrating, then, to get almost to the next save room, die, and have to do everything that you just cleared all over again just for another crack at the place that tripped you up. The problem is only exacerbated by Zoe’s relatively slow movement; a run button or something similar to cut back on the downtime would’ve been a wonderful inclusion. That issue aside, moving through the ten(ish) hour campaign feels well-paced and natural, with a nice mixture of platforming and exploration. Zelda-style dungeons are home to plenty of ‘aha!’ moments and well-designed puzzles, and while your overall ability-set may be paltry compared to similar games in the genre, it also allows for the puzzles and platforming to be more focused on these elements, resulting in a campaign that feels free of extraneous bloat. This isn’t a world that’s positively stuffed with things to do and secrets to find, but there’s enough here to keep you constantly hungering for the next collectable; it never feels too thin. With that being said, an issue arises with how the map itself conveys information to the player, or rather, how it doesn’t. There were many instances where it wasn’t made clear where exactly to go next, and the map wasn’t too much help in pointing us in the right direction. Essentially, almost every room looks the same on the grid-like map, meaning that you must rely on memory or notes to know the locations of previously inaccessible pathways or missed collectables. One could certainly argue that this is part of the old-school appeal, but it feels like a needlessly roundabout way to pad out the game length. 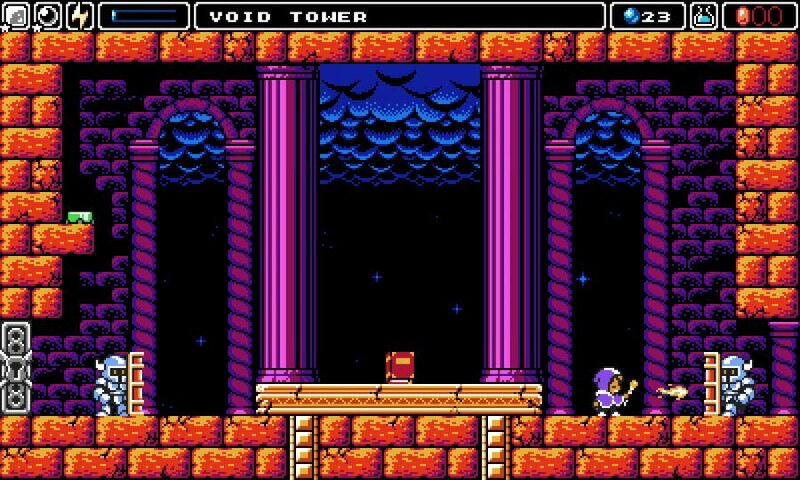 As for its presentation, Alwa’s Awakening manages to satisfy with its simplistic visuals and chiptune soundtrack, even if it doesn’t necessarily astound. As opposed to the visuals of games like Shovel Knight or The Messenger, which paint a very generous picture of 8-bit, Alwa’s Awakening goes for a much simpler look that in many ways feels more authentic. Environments aren’t burdened with loads of distracting details and colour palettes are kept simple and uniform while sprites are cleanly-made and nicely animated. This isn’t a game that’ll have you reaching for that capture button very often, but we’d be hard-pressed to say the visuals are anything less than nice. Similarly, the soundtrack does a good job of setting the appropriate tone, often leaning harder into the more gloomy tunes that would typically be found in a Castlevania game. Even so, there’s a solid collection of catchy songs in this soundtrack, too; enough to the point that we’d encourage you to play this one with headphones if possible. 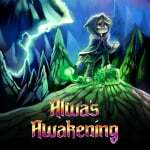 Alwa’s Awakening is a game that perhaps manages to achieve its aims a little too well, with moments of great platforming action and a well-designed overworld being hamstrung by antiquated problems like an unforgiving checkpoint system and an unhelpful map. We’d give this one a light recommendation; there’s plenty of quality to be found despite some flaws and it’s evident that a lot of passion went into the development, although we would also add that there’s nothing about Alwa’s Awakening that screams “must play”. If you’re a fan of retro action platformers or Metroidvanias, Alwa’s Awakening is certainly worth a go, but if you aren’t a fan, this isn’t the game to change your mind. Was hoping for better, looked really promising, but cheap enough to be worth a dip anyway. i'd try this for 5$. I know reviews are somewhat subjective but I do feel like some of the things we knock games for are unfair, or too subjective. For example story, ok how much story is in NES metroid? Castlevania? Mega Man? Mario? Zelda, 1 or 2? I think it's actually quite a benefit really. It gives you just enough context for your actions and sets the environment then says the gameplay is what's important. I ask how is it really better to have a bunch of story cutcscenes, that even in the case of well funded devs like SE, bandainamco, KT, and monolith often end up as a series of cliches in a shallow story? Similarly with difficulty, some of us actually like a game that challenges us and it's just a walk through a series of cutscenes. I just feel like there's this school of thought that says NES games are bad because they're old and so any game trying to be like those is bad too. I don't hold to the notion that just because you can get a gameover that a game is bad. I don't hold to the idea that difficulty is a negative. I don't hold to the idea that a constant, intrusive narrative is a positive for games. I think more people who didn't grow up with those games would appreciate them more if there wasn't a constant barrage of game is bad for being on NES. If they weren't being constantly told that a video game is a linear, unchallenging romp from title screen to credits with constant "story" at every turn. I felt like this was going to be a 6/10 or 7/10 from watching trailers and gameplay. It seems well made for what it is and is undoubtedly solid for those looking for a retro throwback but I feel as though I've had more than my fill of games trying to ape that NES feel. The slow movement and unhelpful map design combined with some occasionally frustrating checkpoints (all design quirks that have long since been remedied since the NES days) make this sound like a game that came out in 1988 not 2018 and I feel like I have better things to spend my money on that stuff that feels like it's 30 years old. @Yorumi I think it's a matter of many games back in the time being difficult by design (due to technical limitations) and that design having been refined in modern gaming. There are many games that have captured travesty aesthetic of the NES/SNES eras and are challenging, but are well made with modern advances in gaming in mind. This doesn't sound like one of those games. I personally prescribe to the philosophy that a game should organically be difficult and not littered with artificial obstacles or poor gaming mechanics to create difficulty. The latter including poor level design, poor user interface or maps and some cases, slightly off game control. @UmbreonsPapa To me I find poor game design to be things that just cheap. A deathpit isn't cheap, a deathpit with an invisible block perfectly placed at your launch angle is. Take the comment about checkpoints. Checkpoints do alter the difficulty consideration. Endurance is a thing in playing games. Save states are much easier than long sections without checkpoints. Fewer checkpoints encourages caution, many checkpoints encourages reckless behavior. What I find most often, and what seems to be the case in this review is saying "a game is poorly designed" actually means "I don't like the design of this game." People almost always attribute this to older games as well. How often do you see reviewers or players citing, MK8, FE:Awakening, SF:Zero(other than the controls) as examples of poorly designed games? And yet these games contain some of the worst balance, cheapest AI and gimmicks, and an actual targeting crosshair designed to be inaccurate. No you never hear that, what we do get constantly is "this game is hard it's poorly designed", "there aren't checkpoints every pixel, it's poorly designed", "I got a game over it's poorly designed," etc. Bad or intrusive controls, cheap enemy placement, bad hit boxes, invisible blocks designed to troll, that's bad design. Those are frustrating and not a challenge to overcome. The reason I don't like the more subjective things is it's confusing like with design. I can not like a well designed game, and I can like a poorly designed game, but it doesn't change the overall design. I don't personally like FPS games so the most well designed FPS in the world isn't going to get my attention, but I won't say it's poorly designed just because I don't like the design. To me it's a bit like saying theater is bad because we have movies now, and movies from the 30's and 40's are bad because we have computer graphics now. In the same way many NES games were well designed, it's just that design is less popular now, but that doesn't make it bad. I see, so it's a bit rough around the edges. I've got it on the wishlist for now, so when a sale presents itself, I'll likely bite at that time. Really like the idea of a Metroidvania with proper puzzles. The only thing holding me back is the slow movement. This is on a watchlist for me, but I'm definitely interested. Like I said there's just too much 8-Bit stuff going around lately so I may check this one at some point but for now it's not for me. 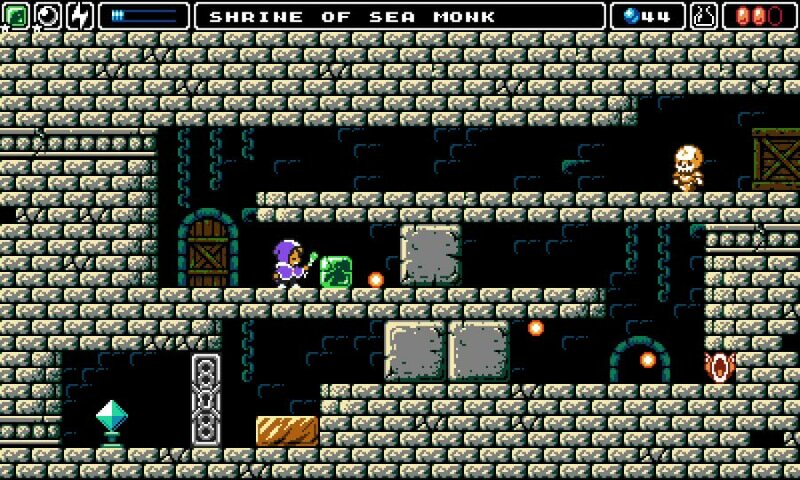 I personally think that Alwa's awakening is one of the best iteration of a game made today that tempt to make you travel in the past. This game is made with PURE LOVE and you can sense it instantly when you start. Elden Pixels brings to you a polished and very clever game for 10 bucks... Do not hesitate if you like well made games. Lack of story is a bonus for me - anything that removes text, cut-scenes etc. is welcome, as it means I can just play the game. I would say the flip side of that is "a design feature I like" = "good game design", which isn't really any stronger of an argument. Ultimately it does come down to preferences. If there is any reasonable definition of objectively bad design in games, I'd say it's design features that the large majority of gamers would dislike. To take one example, many people prefer games to have checkpoints closer together than was typical in older games, and feel like making checkpoints very far apart is cheap way to make a game feel difficult. I'm one of those people, and am very happy that modern game designers have come up with other ways to add difficulty. For example I loved Celeste, and I don't think it would be reasonable to call it an easy game, but it had much more closely spaced checkpoints than many older games. So I reject the idea that not liking far apart checkpoints means someone only likes easy games; it just means they don't like that particular way of making a game difficult. Hello. Lead Designer of Alwa's Awakening here. There is something called Assist Mode in the game that you can call an 'Easy Mode'. You can turn on Instant Respawn that lets you respawn in the same room you died and turn on item locations that shows where to go next. It drastically changes the gameplay and if you're not into hard NES games this is a great mode that lets you experience the entire game without the penalty of having to re-do anything or get lost. It's very accessible and something we spent a lot time making sure it works great so everyone can enjoy the game. Thanks for sharing the info. That’s exactly what I look for in a game (I’m old school gamer but am done with extra difficult stuff, lol). I’ll be sure the check alma out when I’m done my current games! @MikaelForslind Thanks for your comment - I really appreciate when designers/developers take the time to engage with the gamers. Your Assist Mode is exactly what I’m after, and so I am now the proud owner of Alwa’s Awakening - can’t wait to play it after work! Thanks! @bilboa No we can objectively talk about game design. Elements of a game that a player cannot react to and requires foreknowledge(unless this is the design as in the Monodo powers in the first XC) to overcome is bad design. In the case of the Monodo above, foreknowledge was required, but said foreknowledge was given to the player to allow them to react to the event. Contrast this to FE:Awakening where "reinforcements" could spawn behind your battle lines, and act on the same turn. The only counter to this was foreknowledge of where they would spawn, meaning you had to play the battle, then replay it once it happened. That is bad design. An element that is terribly unbalanced in some way is bad design. This gets complicated because this isn't a weighted power curve, it's something that falls vastly outside the power curve or gives a truly unfair advantage. For example a low skill weapon that gives a lot of power, a newb weapon if you will, but is still outclassed by higher skill weapons is in fact good design. A low skill weapon that in fact outclasses all or nearly all high skill weapons is bad design. A design with bad or awkward controls that get in the way is bad. Misleading information that has no reason to be misleading is bad design(the crosshairs in SF:Zero). Brute force puzzle solving is bad design. Arguing the majority is a logical fallacy, called fallacy of appeal to the majority. This is a fallacy because the majority doesn't get to decide truth. Using this fallacy would suggest every niche game is poorly designed. That's lunacy. Game design is actually fairly objective, but a well designed game doesn't necessarily appeal to everyone. There's nothing wrong with making a racing game just because some people don't like it for example. @MikaelForslind don't have anything to add, just saying I do enjoy when devs talk about their games. Glad you made something like this I loved the look when I first saw it. I definitely think I'm going to enjoy it a lot. You guys need a better review metric. When the vast majority of games seem to score 7s (and Slain got what, a 4?) it kind of cheapens it. Obviously the review itself is what you should be taking away from but it's become predictable. This site almost only scores in the 7-9 range it seems, whereas at least one game in Slain came off as the reviewer just finding the game to be punishing. A fair review, I can't argue with it. I feel like I paid more for this game on PC, I'd say at $10 if you've already blown through Hollow Knight and Axiom Verge, this is an easy going metroidvania to try out. @Yorumi ‭I wrote this even longer post that probably would have muddled this conversation more so than it already is. I’ll keep my response short. I certainly can see where you’re coming from. I think you and I are on two totally different tracks. I wasn’t necessarily talking about likes or dislikes. Although those certainly could factor into someone’s feelings on a games overall design. I’m also not suggesting criticizing a game and it’s design because you don’t like said game or it’s genre. I’m talking about pointing out choices made, purposely or maybe even subconsciously, that might seem organically part of the challenge of a game, but end up more like nuisances to create difficulty. Or just lazy attempts to create a challenge or raise the difficulty or in some cases, to pad the length of game. @Yorumi Hi, of course I agree with the statement "the majority doesn't get to decide truth", when it relates to objective facts. For instance, the the truth of the statement "the earth isn't flat" is independent of what the majority of people think. However a lot of things are inherently subjective. For instance the statement "strawberry ice cream tastes good" has a different truth value for different people. The only way you could say it's objectively true that something tastes good or bad would be to show that there is near unanimous agreement on that. I think a lot of the design choices you used as examples of bad design are more like the ice cream taste example than the earth shape example. 1. If the effects of a design choice undermine some of the developer's own goals, and there was another choice they could have made that wouldn't have done so, that would count as an objectively bad design choice, independent of whether people happened to like the game. For example, if a developer made a fighting game with a roster of characters, and players were supposed to be able to choose any character, but one of the characters was clearly overpowered compared to the others in a way the developer didn't intend, that would be objectively poor design. I would say this was true even if some players happened to like the result for reasons the developer didn't intend. 2. The other is more like the taste example. Even if a design choice had exactly the effects a designer intended, if there is near unanimous agreement that a different choice would have made the game more enjoyable, I would accept that that counts as an objectively bad design choice. I think your example of reinforcements spawning behind your battle lines in FE:Awakening would be a candidate for this category. I don't think it was an accidental choice on the developer's part, but I could be convinced it was an objectively bad choice if I learned that most people would like the gameplay better without that. Personally I never found that part of the game as unfair as it seems to you, so it's not obvious to me that it was a bad choice, but I suppose if I found out that I was in a tiny minority in that regard, I might still accept it as bad design. I don't think any of the reviewer's criticisms of this game fit into the first category above. The question would be whether they fit into the second category. I.e. is there near universal dislike of far apart checkpoints, invisible spike pits, or whatever other things the reviewer didn't like. I don't think there is, so I'd agree with you that these don't count as objectively bad design, just maybe unpopular design choices nowadays. Anyone else just fed up with this 8-bit throwback BS? @DarkZeno It's up to you what games to buy and play. Plenty of people enjoy games like this. "There were many instances where it wasn’t made clear where exactly to go next..."
YES! A game that doesn't hold your hand for a change? Sold! Played the game for about an hour and it feels like a proper retro 8-bit game, I don't regret picking it up just yet. @MikaelForslind Noted! I'd like to formally extend my thanks to you for bringing this game to the Switch; you deserve to be proud of what you accomplished with Alwa's Awakening, and I hope it does well on the eShop! All of you, who are puzzle lovers, who are older than 30, and who are passing on this gem are really missing out. Don’t let yourself be blinded by a 7/10 or a 30 seconds gameplay video. This game deserves more than this score. @gauthieryannick. I concur, I am thoroughly enjoying myself with this one. I for one am not keen on waypoint markers in games, a well structured game, like this one, does not need them. Soundtrack is top notch as well! I love and respect Indie/Nindie game programmers greatly, but this past year I have watched the number of games exploding and normally I'd be doing a John Elway touchdown celebration dance huge.